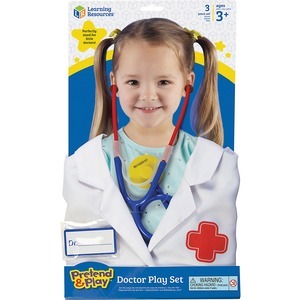 Your little healer will love pretending to be a doctor with this play set. 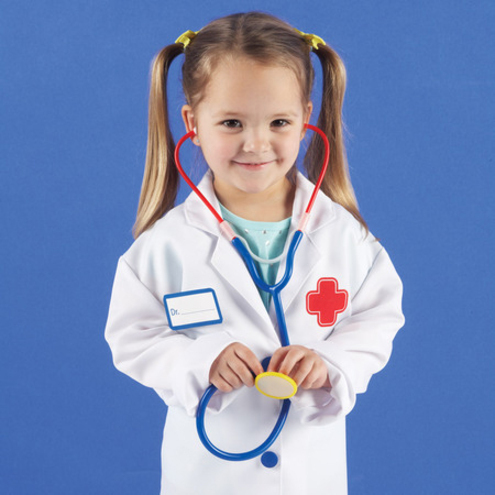 The coat features child-friendly snaps to let young learners easily put on and take off the coat. Write-and-wipe name tag allows each of your students to write their own name when it's their turn to play. Visual and tactile learning style helps children develop imagination skills, role-play skills and social skills. Doctor play set is designed for children ages 3 and up.